Subject to credit approval & system selection. Click here for details. Lexington's Trusted Heating and Cooling Company Since 1968! Climate Control Heating & Air Conditioning was formed in 1968, by Carl Fugmann. Under his guidance, Climate Control developed into the trusted heating and cooling experts in the Lexington area. Since 1968, Climate Control has been able to create a reputation of providing the best heating & air conditioning services at a fair and reasonable price. Located on Big Run Road, we are proud to serve our neighbors in Lexington, Kentucky, and have been doing so for over four decades. We have grown to be among the largest HVAC companies in the state through the referrals of our satisfied customers. Climate Control is known by our business and residential customers for providing honest, professional assessments, fair and competitive pricing, and the best qualified service. Our technicians are fully trained, licensed and certified, and will also bring you the benefit of solid experience. You can count on us to get the job done right, obtain all proper permits, and not cut any corners. Thank you Lexington for allowing us the opportunity to serve you since 1968! 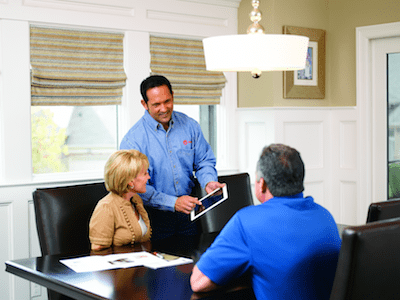 Climate Control has a strong history of utilizing industry-leading technology in your home. Partner that with our factory trained service team members and you are going to get a superb result. Our team is on call 24 hours a day, 7 days a week for any emergency service. The leading heating and air conditioning service team in Lexington has created the Climate Control Care Plan to make sure emergency service calls are a thing of the past. Having your HVAC system maintained seasonally can save you as much as 20% a year in operating costs. It can even increase the life of your heating and air conditioning system. With the Climate Control Care Plan, you have the peace of mind knowing that your heating and cooling system is maintained twice a year by NATE-certified service technicians that are trained to keep your system operating at peak efficiency. 15% discount on all service work! 1 .Can carbon monoxide build up in my home? 2 .My air conditioner is very loud when I entertain outside, what can I do? A difference of 6 decibels (such as between 72 dB and 78 dB) is technically a four-fold increase in compressor sound when rating air conditioners or heat pump units. However, it takes a difference of 10 decibels to double the loudness. It is also noted that it takes approximately 3 decibels for the average human ear to discern any difference in loudness at all.Great strides have been made in reducing the operating sound level of equipment. We will be happy to show you the difference in sound ratings with our product line. 3 .Is Freon, as a refrigerant, being discontinued? An important change just around the corner is the phase-out of R-22. As of January 2010 the refrigerant R-22 (what consumers call Freon®) will not be allowed to be used in the manufacturing of new equipment. R-22 has been used as the “standard” refrigerant for many years but has been found to be harmful to our planet by our government. All new air conditioners and heat pumps will be required to use “environmentally sound” refrigerant, such as Puron® (commonly known as R-410A).R-22 is the most commonly used refrigerant in residential homes today. However, per the Montreal Protocol, caps have been established to eliminate the production of R-22. In 2004, there was a 35% reduction; in 2010 there will be a 65% reduction; in 2015 a 90% reduction; and finally in 2020 a 99.5 % reduction in the production of R-22. This means that during the time of these reductions with high demand, the price of each pound of refrigerant could potentially skyrocket.If you are considering replacing your existing air conditioning equipment, most higher efficiency products have already made the switch to R-410A, the more “environmentally sound” refrigerant. 4 .My system doesn’t work well in a couple of rooms, what do I do? 5 .At what temperature should I set my thermostat? Normal cooling settings are 75 degrees – 80 degrees. Normal heating settings are 68 degrees- 72 degrees. You should always set your thermostat to the highest possible setting that is comfortable for you in the summer, and the lowest comfortable setting in the winter. Setting your thermostat in this way will maximize your energy savings. On average, every 1 degree of temperature change is equal to about 10% energy savings. For example, changing your thermostat setting from 75 degrees to 76 degrees in the summer could result in about a 10% savings on your cooling costs. We're hiring! Apply to join the Climate Control family!